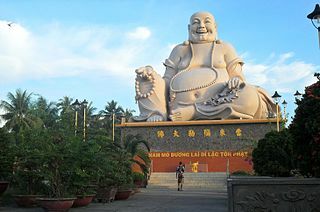 In recent years, Vietnam Tourism is increasingly popular in the world. Tourists from various countries often make this country as their premier tourist destination. The tourists from several countries are also increasingly interested in visiting attractions in Vietnam. Vietnam has a dark history from the war in 1970. However, these historical relics now became a very attractive tourist asset. The country is also decorated by incredible scenery. Vietnam also offers various kinds of traditional dishes that don’t just delicious, but also healthy. Travelers from Asia and other countries, often making Vietnam as a cheap tourist destination. There are various reasons why Vietnamese often called the cheap tourist destination in Asia. Like many cheap flight available from a variety of countries and visa-free to all citizens of southeast asia,. Vietnam also not apply airport tax to passenger so it saves budget travelers. Vietnam has a variety of attractions that are worth visiting. The entrance fee to the place is also very cheap. Very easy to find cheap accommodation in Vietnam. You can book in advance by using the internet or directly booked on the spot. Recommendation cheap accommodation in Vietnam is available at Pham Ngu Lao in Ho Chi Minh City and Hanoi’s Old Quarter. In addition to these two places, there are still many hundreds of cheap accommodation options available in Vietnam. Cheap food is also easy to find in Vietnam. You can visit stalls frequented by locals. Don’t visit cafe with a lot of foreign tourists, because the food price is much more expensive. Delicious coffee can be found in cafes or street stalls. On the roadside, coffee milk only costs less than U.S. $ 0.5. Vietnamese Dong currency values are very low when compared to other developed countries currency so the price of the tour is provided is also very cheap. Pham Ngu Lao is one of the tourist area that never sleeps. Hundreds of restaurants, pubs, and bars open 24 can satisfy your nightlife experience. Vietnam tourism infrastructure that has been good enough to facilitate foreign tourists and those who are not too experienced in traveling. Vietnam is also a gateway to go to the favorite destinations in Southeast Asia, such as Phnom Penh in Cambodia, Kunming in South China, and Vientiane in Laos. Vietnam has a lovely nature, such as Halong Bay which includes the New 7 Wonders finalists. In addition, Dalat and Sapa could be cheaper travel option for enjoying the tranquility with panoramic views. In addition to beaches, tourist favorite water wading in Vietnam is the Mekong River in the south. Different from other southeast Asian countries, Vietnamese-style architectural buildings is inspired by France. Old buildings such as post offices, cathedral, and government buildings is a proper object for photography enthusiasts. You should try to visit Vietnam, especially for travelers who want to travel you frugal. Vietnam is very beautiful, easy access, complete tourism facilities, and all things are cheap.